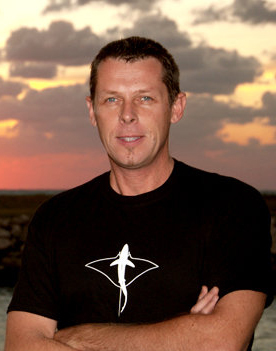 Andy Murch is a Photojournalist specializing in sharks and rays. His shark stories and images have appeared in hundreds of magazines and books around the world and have been translated into many languages. Diving with Great Hammerheads in the Bahamas. Diving with redspotted catsharks in Chile. Diving with the amazingly diverse sharks of False Bay, South Africa. Diving with Pelagic Thresher Sharks in the Philippines. A lucky encounter with smalltooth sandtiger sharks at Malpelo Island, Colombia. Published in Diver Magazine Volume 38, Issue 6. Published in Diver Magazine Volume 37, Number 8. Published in Diver Magazine Volume 37, Number 7. The beginning of the four month road trip that paved the way for Predators in Peril. From Baja Norte to Southern California. Sevengills, horn sharks, leopard sharks and rays. Below is a list of as yet unpublished articles with attached images written by Andy Murch that are available for publication. They are not available to the public yet but they can be viewed by prospective editors upon request. Travels and Interviews with the Shark Finners of Central America. If you are interested in publishing or republishing any of the above articles in any form of media please contact Elasmodiver.